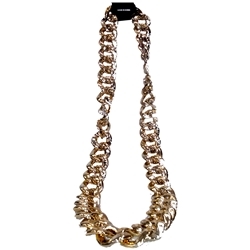 This gold chain is perfect for adding Bling to your costume. It will compliment almost any gangsta or rapper costume. The chain is made of plastic, it has the look of gold without the weight or the price. The bling gold chain with large links is colored as pictured.